Father and son Eric and Trevor Steele hold signs at a pro-gun march on Saturday, March 24, ahead of the March For Our Lives demonstration. 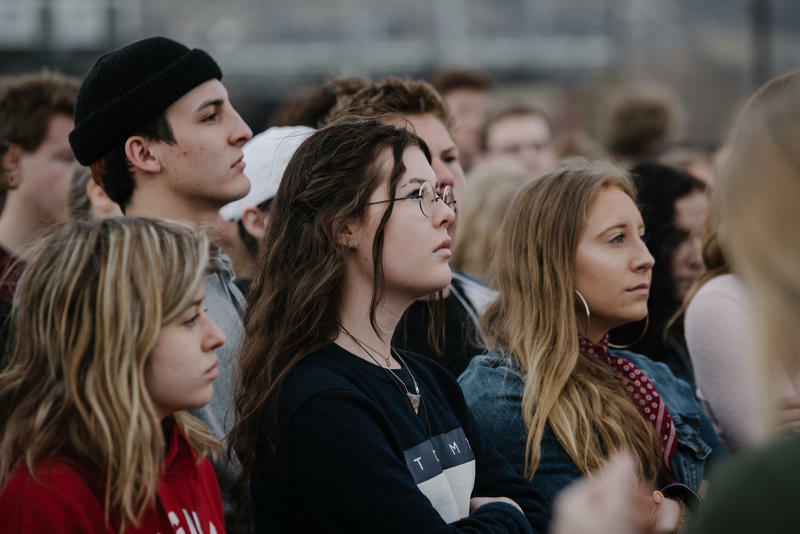 On a day of nationwide student-led protests for gun control, many counter-demonstrations took place across the country as well, including Utah, where gun advocates held a rally called "March Before Our Lives." 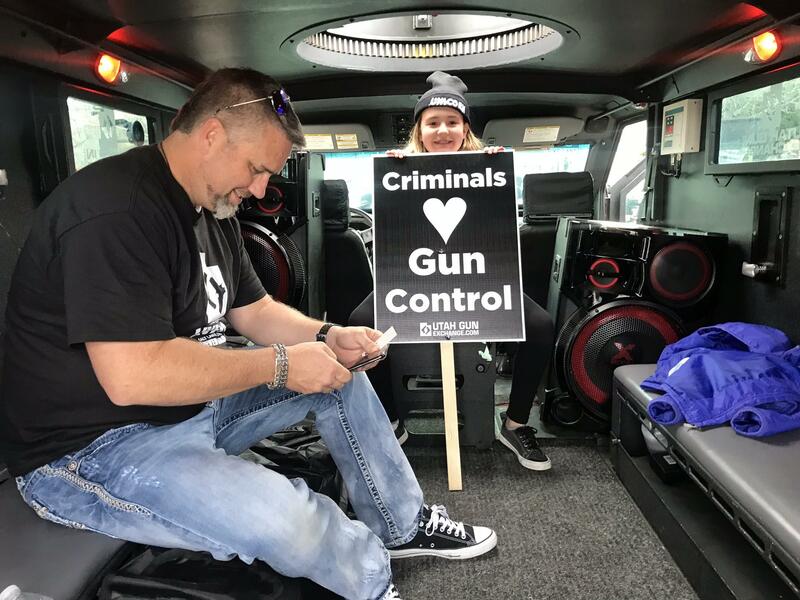 "I'm here to protect my 2nd Amendment rights," said Rebecca Clegg of Roy, Utah, one of several hundred gun owners who drove down for the march. "Guns aren't the problem, so we shouldn't be giving them away." Organizers had originally wanted to walk directly in front of Salt Lake's March For Our Lives rally, but were blocked by the city’s permitting office. Instead, they marched about an hour ahead of schedule along the same route from West High School up to the Utah Capitol. Holding signs and waving flags, some carried firearms openly, while many more concealed carry. 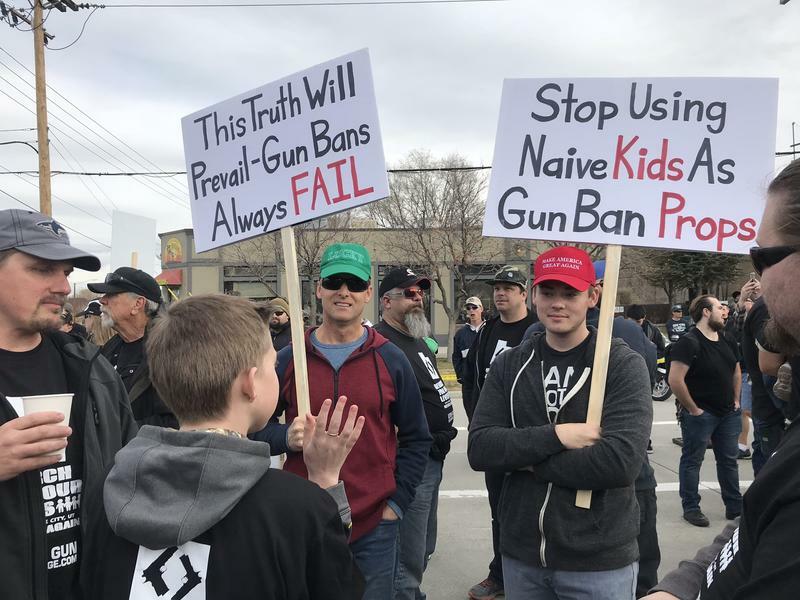 Bryan Melchior is co-owner of the Utah Gun Exchange, which organized Saturday's counter-demonstration. He said they wanted to march with the other rally but were excluded. Bryan Melchior is co-owner of the classified ad website Utah Gun Exchange, which organized the rally. He said despite some skeptics, he believes both protests have a common goal. Melchior has dubbed their initiative "Educarry" and said many teachers have reached out to him wanting to "exercise their constitutional right." President Trump has also signaled a preference for arming teachers as a means of preventing school shootings. “I for sure think that the portrayal of kids fighting for gun laws is naïve, because they are dumb enough to actually believe it,” he said. Both Trevor and his father support more teachers carrying concealed weapons, already permitted under Utah law. But Eric Steele said he strongly opposes any ban on AR-15s or high-capacity magazines. “For one, you won’t be able to take them all off the streets," he said. "There’s tens of millions of 30-round, high-capacity magazines, and even if you do, you won’t achieve the objective." Steele said everyone agrees that children should be safe in schools, there’s just disagreement over how best to do that.